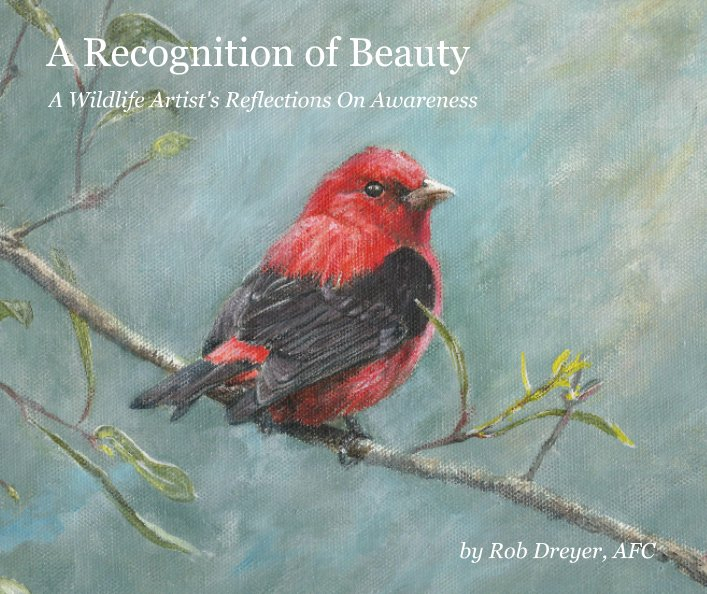 More than a "wildlife art coffee table book,” Mr. Dreyer uses his artwork to encourage the reader to view their world from a new perspective, and as a result, find a new connection with this marvelous gift we call "life," and this miraculous home we call "earth". He explains how each of us can rediscover the awe we felt as children, and reconnect with everyday miracles, by learning to observe our world like a nature artist. He shares his observations and suggestions on how anyone, artist or not, can increase their level of awareness. His hope is to inspire a new generation of naturalists who can stop, look and listen - and live their lives in daily appreciation of the “small” blessings that continually surround us. Contains fifty (53) full color reproductions of Mr. Dreyer's artworks. The book is printed on Premium Lustre 100# (148 GSM) paper. It’s about 35% heavier and is more opaque than standard paper, adding an extra hint of shine to the pages. Each book is personally signed by the artist/author.